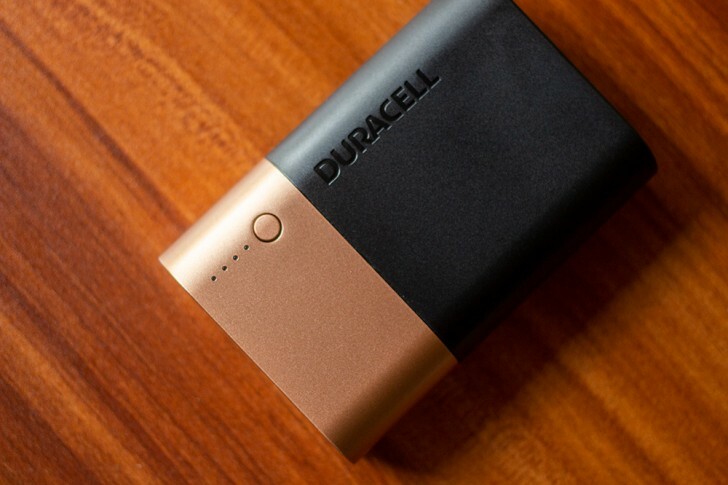 Battery manufacturer Duracell has launched its own series of portable power banks in the Indian market. The power banks are available online exclusively through Amazon. The Duracell power banks are available in three capacities, 10,050mAh, 6,700mAh, and 3,350mAh. The 10,050mAh model has dual output ports while the other two have a single output port. All three models output at around 10W and have a microUSB input port for charging the power bank. 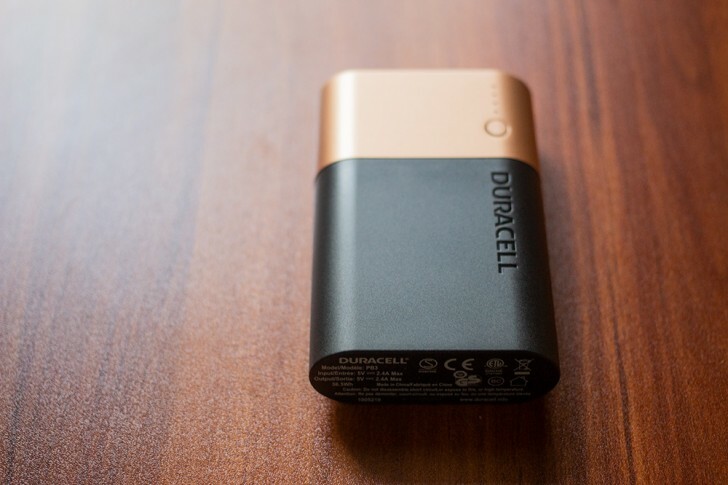 Duracell sent us the 10,050mAh model to check out. The design and color scheme of the power bank looks very similar to the company's famous two tone black and gold battery design. The 3,350mAh model, in particular, looks like a AA battery. All models also have a button on them to check the remaining power. It would have been inconvenient but cool to see the same two button design used on some of their AA batteries to check remaining power, which require you to pretty much destroy your thumb to press. While the powerbanks work as advertised, they feel a bit cheap due to the entire body being made out of plastic. In comparison, many of the other models on the market use an aluminum housing. Duracell touts many safety features for these, including overvoltage protection, flame retardant case, dual safety circuits, over temperature protection, over charge and discharge protection. All models get three year warranty. At INR 1,999 ($27), INR1,499 ($20) and INR999 ($13), the Duracell power banks are more expensive than models from Xiaomi, which doesn't make them particularly good value. They also lack features such as fast charging, USB-C connectivity and have a plastic body. We'd imagine a discount of some sort might make them decent value, but at current prices they are in a rather tough position. Well comparred to this is just a toy for kids. https://www.wish.com/search/800000%20mAh/product­/5b5f2fc64ce5d15035a57c66?&source=search 800 000 mAh Powerbank only for 15 euros plus post costs. 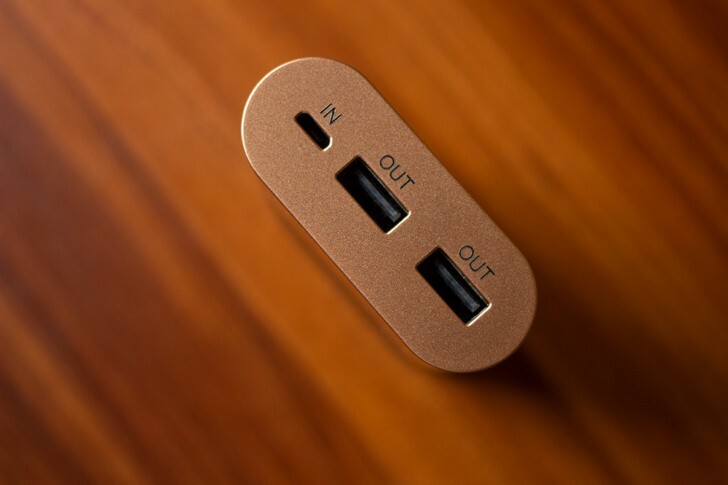 The copper top battery banks need USB c.
They have mentioned it lacks usb type c .. its not a big deal lol. I have ambrane powerbank with a torchlight, trust me that s very handy during power outages. I feel that as a necessary feature than usb type c.